Apologies, friends, for the delay in transmission these last couple of weeks. 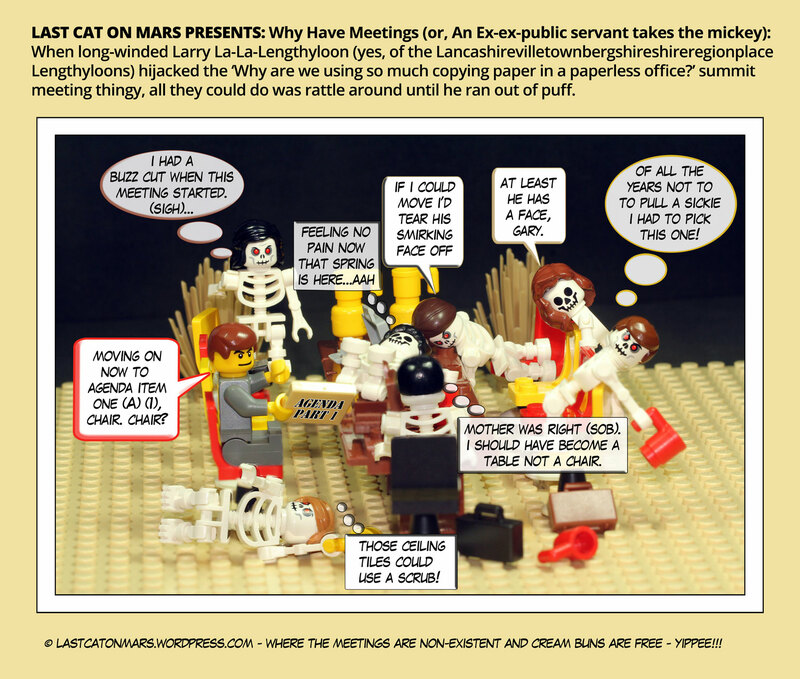 Storms on Mars – you know the drill. This one’s for all my cage fighting friends out there who dare to be different and consider a future free of bruises and comas, especially comas. And blood – ooooh, I feel faint. No more blood, except for the freshly squeezed blood oranges I’m about to engage with for breakfast. 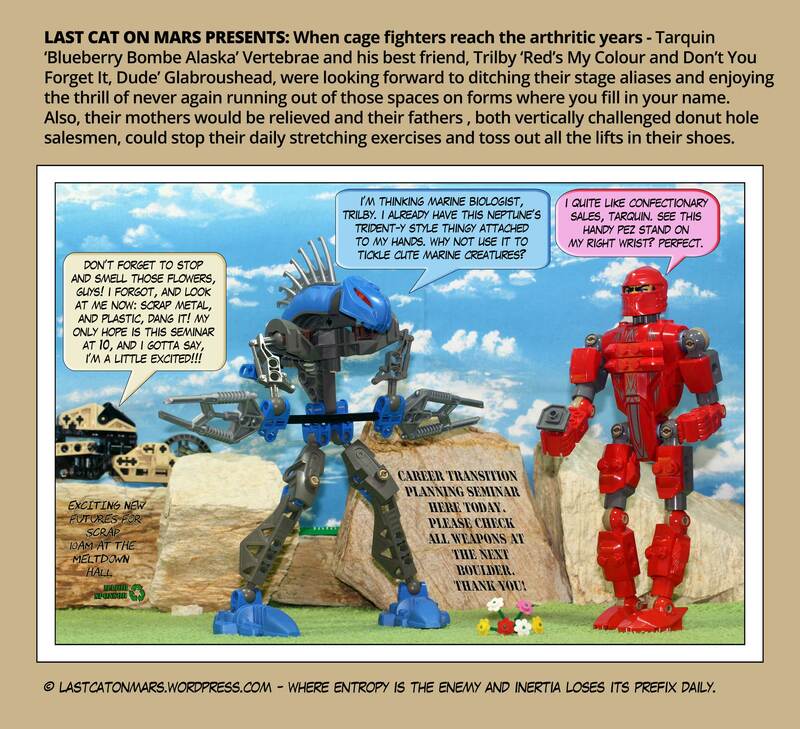 This entry was posted in Industrial, Variety Show and tagged bionicles, cage fighters, careers, cartoon, comic, lego, stop and smell the flowers on April 24, 2016 by Jay Verney. Hey there, fellow Swamp Appreciation Society (SAS) members. It isn’t often that we get to welcome someone like the legendary Nessie to LastCatLand – and we missed her this time, too. Nonetheless, everyone had a lovely time and ate many frog omelettes – just kidding – they all had bayou moonshine and went to hospital. 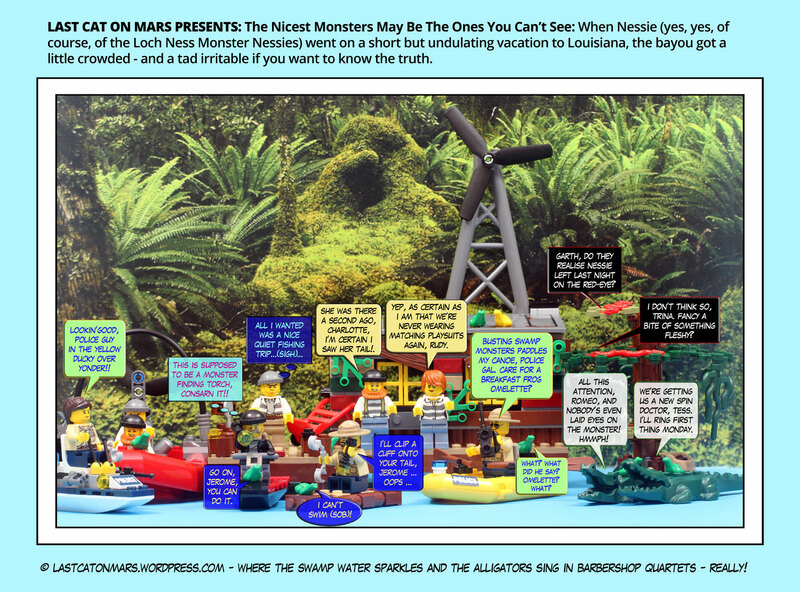 This entry was posted in Variety Show and tagged alligators, bayou, boats, cartoon, comic, frogs, lego, Loch Ness Monster, minifigures, Nessie, police, searchers, snakes, swamp on April 9, 2016 by Jay Verney.